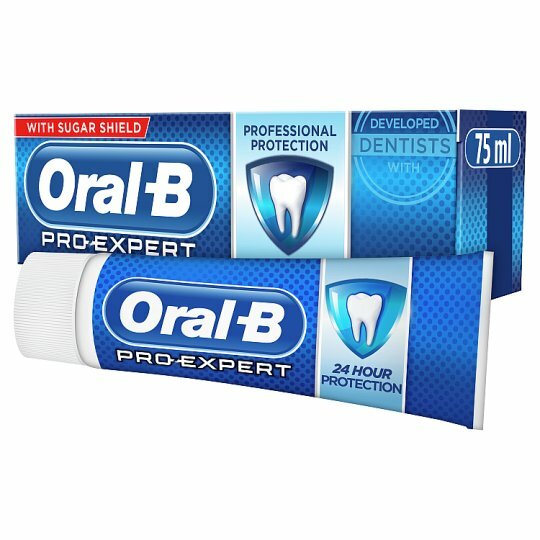 Oral-B Pro-Expert Professional Protection toothpaste has a unique combination of ingredients that provides 24 hours protection by brushing twice a day. It targets and protects against the 8 areas dentists check most: gum problems, sensitivity, cavities, plaque, stains, bad breath, tartar and enamel erosion. For adults and adolescents above 12 years. For children above 6 years, ask a dentist before use. Contains Stannous Fluoride (1100 ppm Fluoride) and Sodium Fluoride (350 ppm Fluoride).